Peaches aren’t very popular with my children – I think it’s maybe something to do with it being a wet juicy fruit. 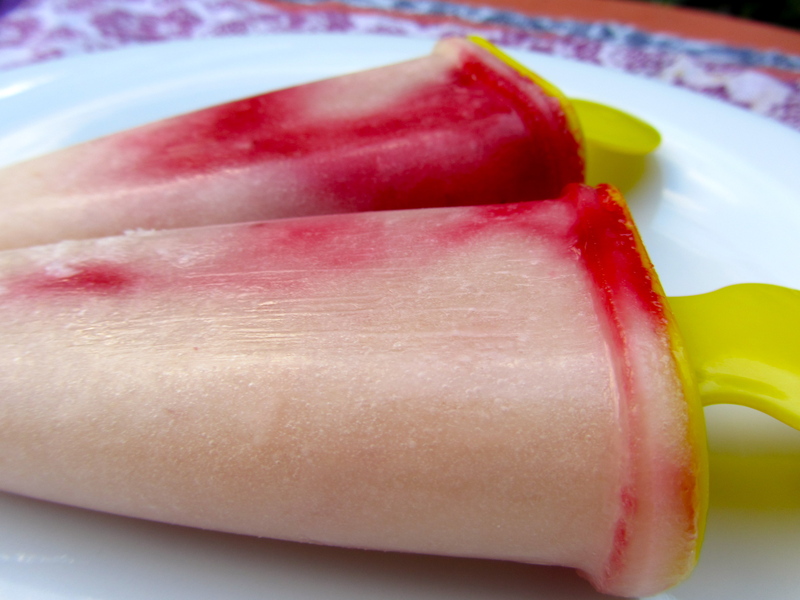 Anyway, I LOVE peaches, and since they love ice lollies this recipe was a great way of getting them to eat an entire peach and a good few raspberries without realising it. Sneaky huh! Look at the lovely colour it produced. – Press the raspberries through a sieve to make a smooth purée. Set aside. – Peel and stone the peaches. Whizz to a purée in a blender. Add the water. – Taste and add the sugar if necessary. 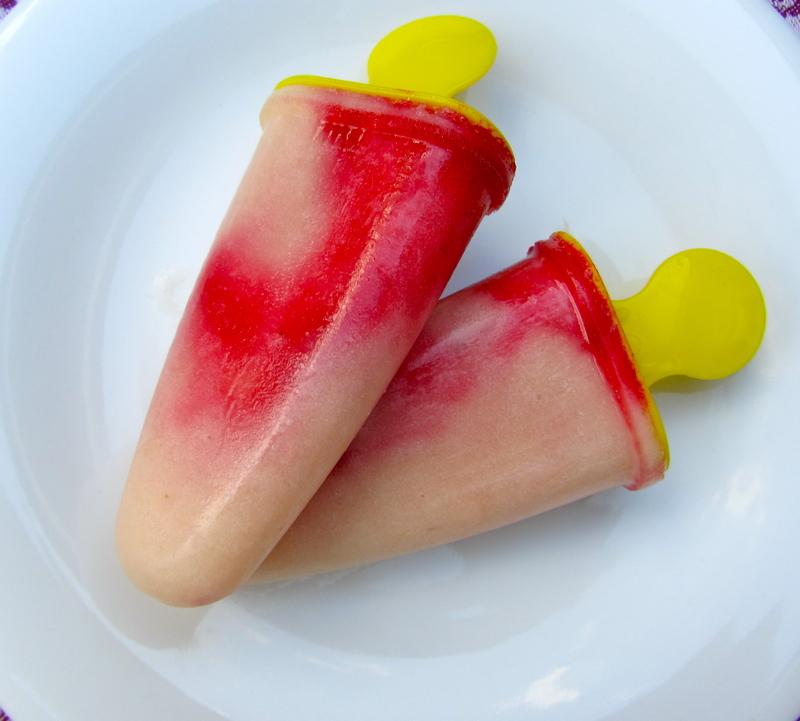 – Half fill the ice lolly moulds with peach purée. Add 1/4 of the raspberry purée. – Repeat, then give the mixtures a swirl with a small spoon. Lovely! Peaches can be a messy ordeal to eat, but they are so worth it to me. This looks like a fun and mess-free way to eat them. Peaches and raspberries are also a great combo.